Mary John began her career as an assistant in the film business. Eventually she moved on to executive production roles at Paramount Vantage and Warner Bros. During this time Mary John was choreographing, dancing, and teaching dance as well. In 2011 she received Panavision’s New Filmmaker Grant and had the opportunity to direct, write and choreograph her first film, EINSTEIN’S DANCE. 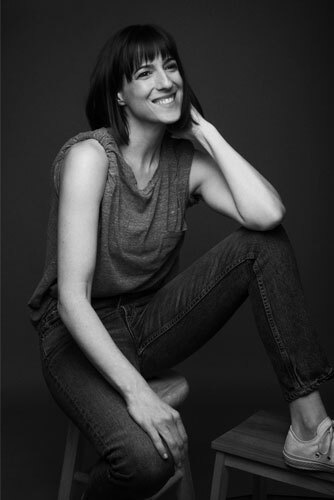 Since then, she has directed content for New York City Ballet, Condé Nast, Disney, and Google and her films and choreography have been featured in Vogue.com, Nowness, The New York Times, W Magazine, Refinery 29, and more. She has an MFA in Dance from NYU’s Tisch School of the Arts and her most recent awards include being one of Vimeo's "Groundbreaking Female Filmmakers To Watch” and a finalist in the Tribeca Film Festival & IBM's "Storytellers With Watson” competition. Mary John lives in New York and loves collaborating with artists and brands to create memorable movement-based work for the big and small screens and, more recently, your VR headset.